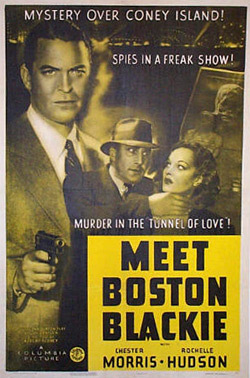 In 1949 Columbia starred Chester Morris as Boston Blackie in 14 films. The series ran from 1941-1949. George E. Stone co starred as his pal Runt in 12 of the films. Richard Lane portyrayed Inspector Farady in all 14 films.